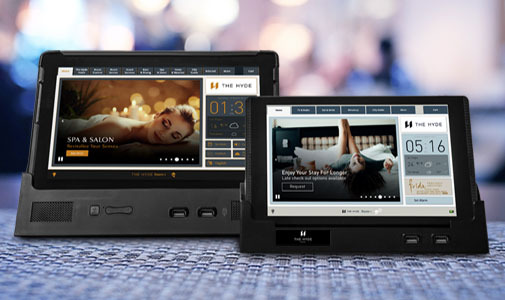 Crave Interactive In-Room tablets land prestigious “Champion" and “Trend Setter” Awards in new Info-Tech Research Group In-Room Tablet Vendor Landscape. LAS VEGAS (May 9, 2017) Crave Interactive, the world’s leading developer of hotel in-room tablets, celebrates major recognition from leading analysts at Info-Tech Research Group. 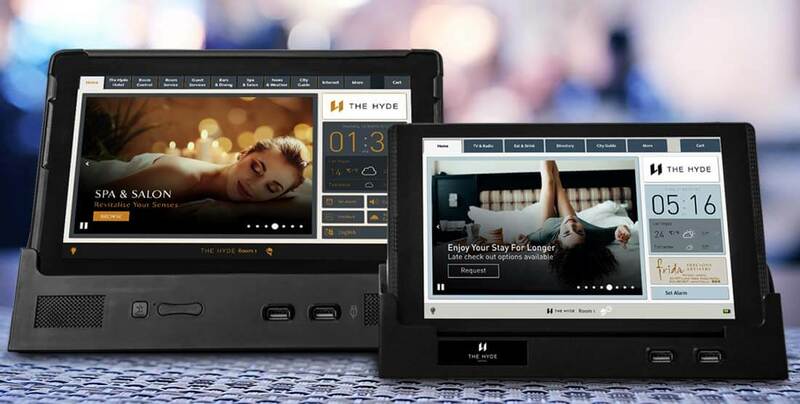 Global hospitality tech innovator Crave Interactive is celebrating its latest accolade, following the publication of Info-Tech Research Group’s In-Room Tablets Vendor Landscape. Info-Tech Research Group’s influential reports are regarded as benchmarks in assessing emerging technology, with the group’s Gaming & Hospitality Research Center (GHRC) being particularly influential in the hospitality sector. Crave features prominently in the report, being awarded “Champion” status as well as the sole recipient of the “Trend Setter” Award. Crave Founder and CEO Gareth Hughes said that the recognition from Info-Tech Research Group was an important signal of the company’s position at the apex of the hotel technology sector. Info-Tech Research Group’s Vendor Landscape reports recognize outstanding vendors in the technology marketplace. Assessing vendors by the strength of their offering and their strategy for the enterprise, Info-Tech Research Group Vendor Landscapes pay tribute to the contribution of exceptional vendors in a particular category. In ranking Crave as a Champion provider, the report recognizes its solution’s scalability and ease of integration with other systems. Crave Commercial Director Tim Butterworth said that the report’s emphasis on the scalability of the Crave solution was significant. “This is a huge strength that has allowed us to go from working with small boutique properties to vast resorts and hotel groups where our tablets appear in thousands of rooms,” he said, adding that Info-Tech Research Group’s In-Room Tablets Vendor Landscape Report also recognized Crave as an “Exemplary Integration Partner”, thanks to its seamless integration capacity with existing in-room tech such as remote-controlled drapes, lighting, and entertainment systems. “This is an aspect of the technology that we’ve worked very hard on in recent years,” he said. The “Trend Setter Award”, meanwhile, is “presented to those solutions, and only those solutions, that are deemed to include the most original/inventive product/service, or the most original/inventive feature/capability of a product/service”, with only a single award issued in each Info-Tech Research Group Vendor Landscape Report. Crave gained this accolade on the strength of its game-changing T-mini, an 8-inch version of its T2 Tablet. Gareth Hughes added that the T-mini is vital in the role-out of the Crave’s latest innovation, Crave Directory, a simplified version of the full Crave solution, created to make in-room tablet technology a viable, low-cost option for limited service and budget hotels, as well as high-end operators. “We’ve been the first in so many other aspects of this industry, and now we’re making our solutions available and affordable to the widest possible market,” he said. Info-Tech’s Gaming & Hospitality Research Center (GHRC) focuses on providing practical and tactical advice for CIOs, VPs and Director level IT professionals within the casino & resort market. Evaluating vendors and products specific to the Gaming & Hospitality industry is a revolutionary way to help evaluate current and future technology. Increased value and accelerated business results can be realized when combined with GHRC consulting services that use a structured, industry best practices approach across four major IT focus areas: IT/Business Alignment, Applications, Infrastructure and Risk Management.